Etisalat has partnered with Nokia to bundle its super fast 3.75G easyblaze internet with eight distinct Nokia Asha Smartphones. 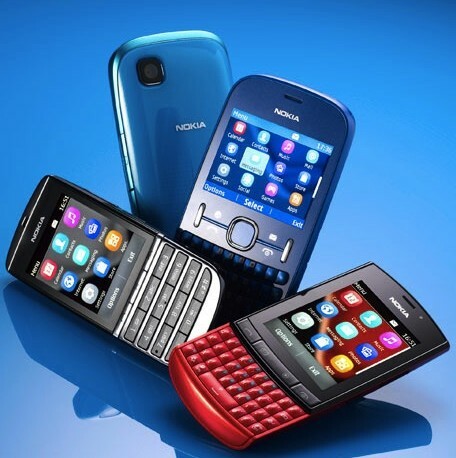 Customers who purchase the different ranges of Nokia Asha Smartphones as from the 6th of August, 2012, would enjoy free 60MB monthly for 6 months. The phones are available at all Etisalat Experience Centres and Nokia stores nationwide. They include; Nokia 311, Nokia 302, Nokia 305, Nokia 303, Nokia 200, Nokia 201, Nokia 202 and Nokia 300. The devices are renowned for their unique features including access to e-mail on the go, instant messaging like Yahoo messenger, WhatsApp, social networking site like Facebook, Twitter and more. Speaking on the offer, Wael Ammar, Chief Commercial Officer Etisalat Nigeria noted that Etisalat’s ongoing partnership with Nokia has been mutually beneficial especially with feedback received from customers following the launch of previous smartphones like Nokia X2-02, Nokia C2-00 and Nokia Asha 300. “This is another strategic partnership with Nokia and we at Etisalat are pleased to be a part of it because it meets one of our major objectives of enhancing the communication lives of our esteemed customers. The offer reaffirms our commitment to continuously provide our customers with innovative products and services. To enjoy the free 60MB monthly for 6 months, customers need to simply buy any of the Nokia Asha smartphones on offer, and a new Etisalat SIM card or use an existing line and dial *481*1# or send ON to 481 via SMS to activate the offer,” he said. The collaboration with Nokia on the Asha range of smartphones would ensure the extension of Etisalat’s 3.75G voice and data experience to subscribers on its network, using exciting smartphones. It will also enhance subscribers data experience using modern operating systems that offer efficiency whilst exciting subscribers with unique features with these latest mobile smartphones.